Now it is time to speak about the strategies and the way of making money at Forex some traders use. First, we should say that the things that work in one case do not certainly work in another. The fact is that currency trading surely means risk. Still, there are a number of strategies for the newbie to use to be the winner. Whether you are new to Currency Trading or a seasoned trader, you can always learn more and improve your trading skills. Here are six steps that will assist you in achieving that goal. Forex trading may seem very easy but it is not. Your high today earnings may turn into considerable losses even of your starting capital tomorrow. Newbie traders are likely to make the same mistakes several times. Here is a list of such typical mistakes. This phrase is to think for those who are scared of losses or being too greedy does his best to get rich in no time. You can surely make lots of money some of the time and there isn’t a necessity of producing and advertising anything but a huge homework is required to learn first. 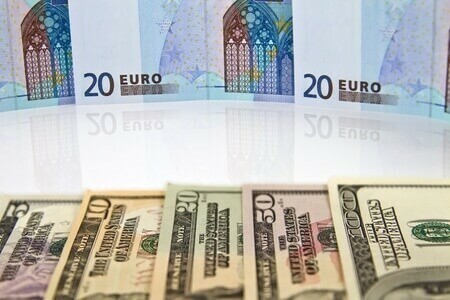 You have to know how this market works and which factors can take the exchange rate up or down. You should also be aware of the effective management for your money not to lose everything. The majority of traders starting at Forex, look for their ultimate strategy that will cause no losses and will bring only profit. The desire of such people is to make a strategy that guarantees stable profit and millions of earnings in a short time without any losses for them to quit and enjoy their fortune and the new huge house. This will never bring any success. No strategy will give you only profit and such research is only waste of time. 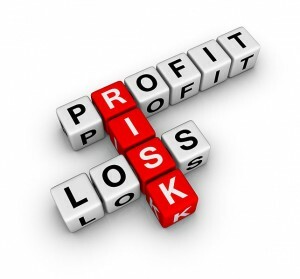 High profits of trading are caused by high risk, and you will not earn a fortune without being on the knife-edge. Do not be sure that every trade will close in advantage to you. You will always feel uncertain and there is no way to vanish it. It means that you should always be ready to the possibility of your strategy failing even if it is thought as perfect. You will save a plenty of time and nerves by avoiding the search for the perfect strategy of earning millions. Even if you find this strategy, you will not ever need it. You will see why later. 2. Apply fundamental and technical analysis. At the beginning of my trading, I relied only on the money management on which I wanted to base my strategy and saw no sense of these analyses. However, money management, which is still very important, does not worth omitting them. You can forecast the direction of the market basing on your technical and fundamental strategies to see their effectiveness. You’ll be able to make forecasts of price movements by applying the past data of the prices and graphs to the technical analysis methods. You can predict future prices with the level of accuracy dependent on your technical analysis skills using the graphs of the rates you observe. Trading with some brokers you can see technical indicators along with the graphs. 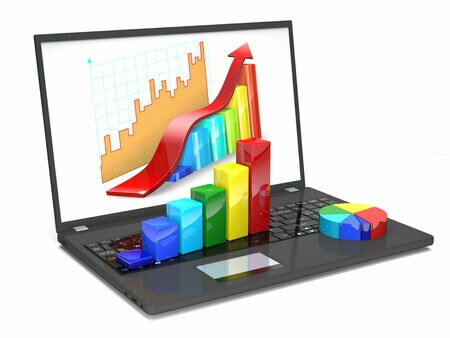 You can apply it to your demo account and estimate your prediction skills necessary for planning trading decisions. It is impossible to choose the most effective indicator among lots of various ones. Each trader has to decide for himself which indicator is best for him. You cannot find any magic formula; you just see the graphs, make your forecasts and find out whether they come true seeing the values in the news later. Your decisions form this formula along with your knowledge that occurs out of the practical experience. Starting trading with an online broker it is best for you to trade with yourself on the sheet of paper rather than invest real money at once. There are many technical analysis indicators available but here are the ones that are the most widespread: the Moving Average Convergence Divergence (MACD), the Bollinger Bands, Pivot Points, RSI, Stochastic, Fibonacci, EMA, and Elliot Waves. The broker’s software will automatically make all the necessary calculations when you add the technical analysis indicator to the graph so that you will see some facts, which are unavailable without using these indicators. It is even possible for you to build your own technical systems basing on these indicators. Fundamental analysis is another tool that maximizes your profit and minimizes your losses on the trades. Some traders prefer only one kind, but the majority prefers both. Fundamental analysis means trading following the news (e.g. telling about the economies or unemployment rate) in the countries of the currencies you trade. They can also tell about the events that can have a strong influence on the currencies’ exchange rate. You can make forecasts on the market direction by following the news as well. 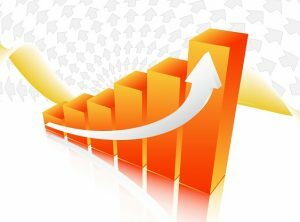 That is why various trading software of the brokers like www.oanda.com offer a link to the page containing important news. 3. Use the strategies of money management. Money management strategies let you win or lose. You should use them to be in a profit. Many traders make too vast investments in every trade and this is not always rational and reminds of a saying: “Expect to make too much and you will make too little, expect to make little and you will make a lot.” It means that even if you invest much trying to get a lot on every trade you can lose all and even if you make small investments looking for a small reward you can make a lot in some period. 1% of the total sum of your account is the maximum sum of the potential risk. This is the first rule of the money management. Stop loss and limit orders may help you to follow this rule. This may be the reason of the small profit, especially if you have small initial investments. However, by compounding a part of your profit or the entire amount, you can get an exponentially growing income. This strategy of compound profits is the one that helped to make millions on financial market instead of gambling that results in losing all investments quickly. Here is the example of the opposite tactics that many traders follow. Imagine that you have an initial investment of $5,000. You are lucky to possess the trading account and you enter a $1,000 trade. In case the market trends down and you lose your $1,000, then your assets become $4,000. Keep following your strategy and enter a $1,500 trade. Just make sure the market is at its low and remain hopeful that you get your $1,000 back on top of an earned extra $500. Then the market keeps moving against you leaving you with $2,500 on your account, which is only one-half of your starting capital. This is a very difficult situation to recover from.